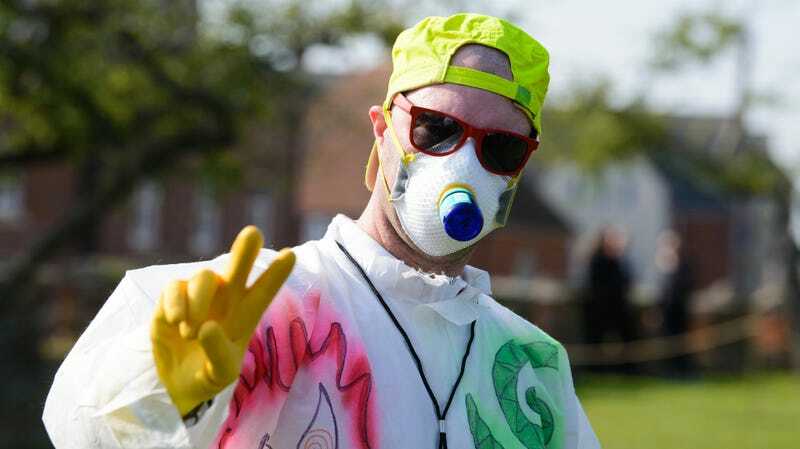 Thousands of mourning Prodigy fans from around the world lined the streets of Braintree, Essex to bid farewell to frontman Keith Flint, who died on March 4 at the age of 49. Ahead of the service, the band invited fans to line the procession route and “raise the roof” for their late band mate. Today, fans delivered with an impromptu roadside rave in a lively tribute. The trains en route to the service were reportedly packed with singing and dancing Flint fans. Supporters maintained that spirit outside of St. Mary’s Church, where a private service was held for family and close friends. Music could be heard throughout the streets as fans celebrated the musician’s life. The service itself included music from System of a Down, Van Morrison, Pink Floyd, and The Jam.